Interior Doors Rockford IL - Kobyco - Replacement Windows, Interior and Exterior Doors, Closet Organizers and More! Serving Rockford IL and surrounding areas. 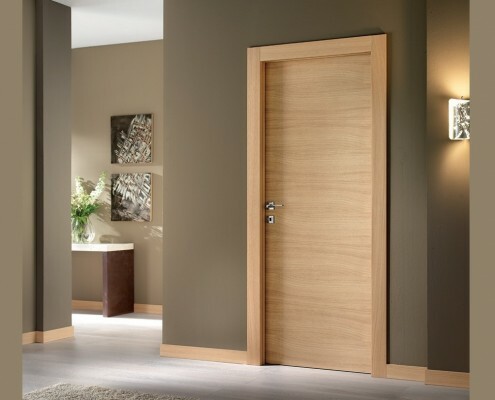 ROCKFORD HOMEOWNERS, WE INVITE YOU ‘INSIDE’ FOR INTERIOR DOOR SOLUTIONS FROM KOBYCO INC.
You’re a homeowner in beautiful Rockford, IL and you’ve decided that the interior of your home needs a breath of fresh air; it needs a ‘face lift’. You know just the lift your home needs—new interior doors and millwork from Kobyco, Inc. We’ve been remodeling homes in Rockford and surrounding areas almost 40 years now. And we have a line of new interior doors that will give the inside of your home the lift it needs for many more years to come. Kobyco interior doors and millwork will brighten the interior of any Rockford home. That’s because with Kobyco your choices are many. Our doors are made of Birch, Maple, Poplar, Red Oak, Cherry or knotty Pine. We also offer a Medium Density Fiberboard line just waiting for your touch. Kobyco offers fancy raised panel doors and French door designs; as well as smooth flush plain door styles. For our Rockford homeowners we pre-finish these doors in stained or painted colors that can be matched to your interior trim; and your new doors are installed by our trained and experienced crews. Visit our website for more details. You can make an appointment to come into our showroom and browse our door selections, if you prefer. Our experienced sales people know just what Rockford residents want and need for their door solutions; and we are there to help you choose the right interior doors for your home. Give us a call or come see us. As homeowners ourselves, we know what you want.